We promised a huge announcement at WPPI this year and we delivered! We are excited to announce our partnership with Triple Scoop Music! 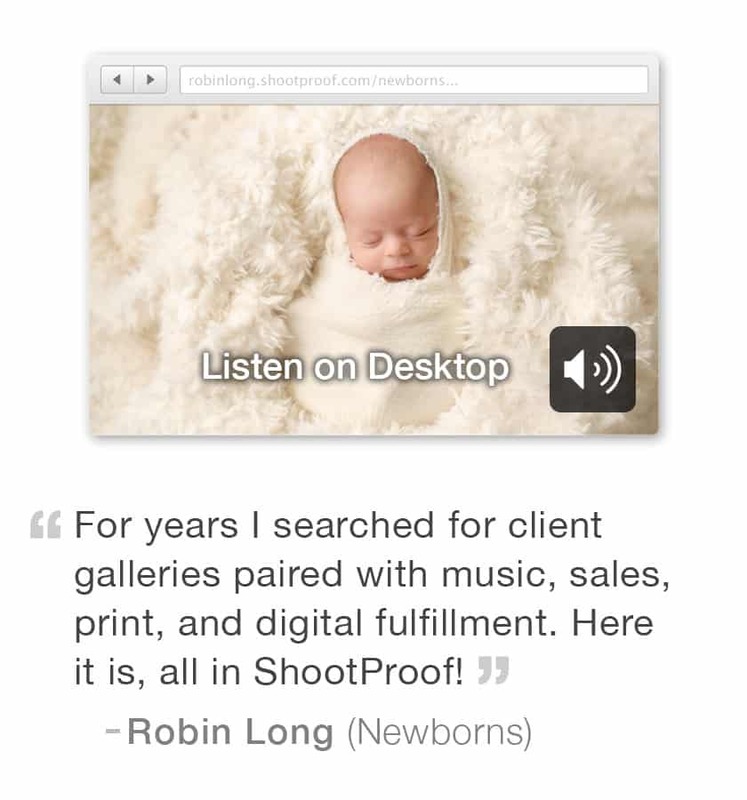 By adding music to your ShootProof client galleries and slideshows, you will supercharge the client experience with an incredible range of music styles and themes. Browse and listen to over 13,000 songs right in your Studio Panel, then choose the plan that fits your needs: access to the full database of songs is $10 per month, or access to any 100 song collection (Weddings & Love, High School Seniors, Babies & Families…) is $5/month. Once you’ve made your selection, you can create an unlimited number of playlists of your favorite songs (3 songs per playlist for the $5/month plan, and 20 songs per playlist for the $10/month plan) and easily apply them to any of your Events. 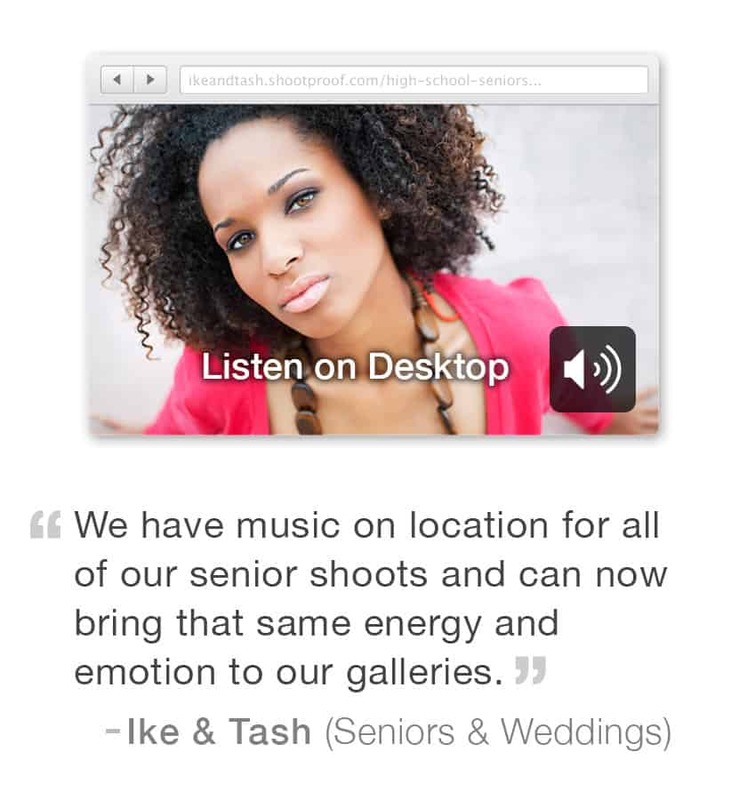 Music can be set to auto play upon entering the gallery or simply triggered by the slideshow view to enhance your client’s experience. The best news yet? All ShootProof subscribers receive a free 30 day trial! To learn more, check out our Knowledge Base here!